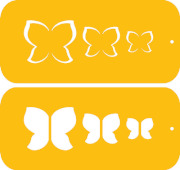 These sets of wings will allow you to make realistic looking butterflies for you confection. They are approximately 3.3", 2.3" & 1.7". It is made of plastic for use with any spreadable or sprayable color including, chocolate, fondant, buttercream or royal icing. 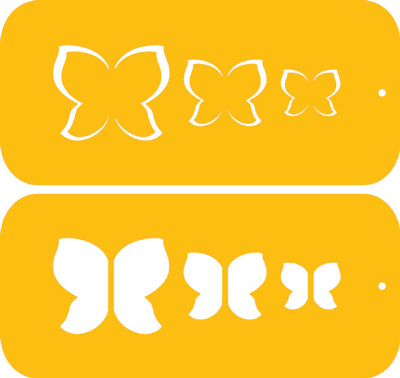 Use a left and a right wing and pipe a round tube in between them and you have an instant Butterfly to use as an ornament on; Spring Cakes, Wedding Cakes, Cupcakes or just about any confection that you can imagine!